Graduated in Business and Economics at the University of Florence with a thesis on the internationalization strategies of wineries, Diletta Frescobaldi has wine in her blood. The family of the Marquises de Frescobaldi have been in fact producers of wine for over 700 years. 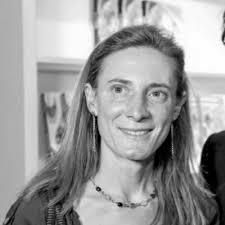 Diletta, in addition to carrying on the important family business, is also a professor of art marketing in Florence and professor of wine marketing at universities and institutions in the United States (New York University, James Madison University, Indiana State University and many others).